The Philippine team to the 16th Annual Hawaiian International Billfish Tournament left recently on board a Philippine Airlines plane en route to Kailua-Kona, Hawaii where one of the world's major fishing contests will be held from 12-21 July under the auspices of the Hawaiian Billfish association. Some 30 countries have been invited to participate. On the invitation of Hawaii Gov. John A, Burns, Secretary of Tourism Jose D. Aspiras nominated the members of the team from the Philippine Gamefishing association. The team is composed of Jose Ma. G. Santos, team captain; Conrado Antonio, member; Gen. Victor Osias (ret,), member; Pat Osias, member and Nicasio Villa-mil, alternate. 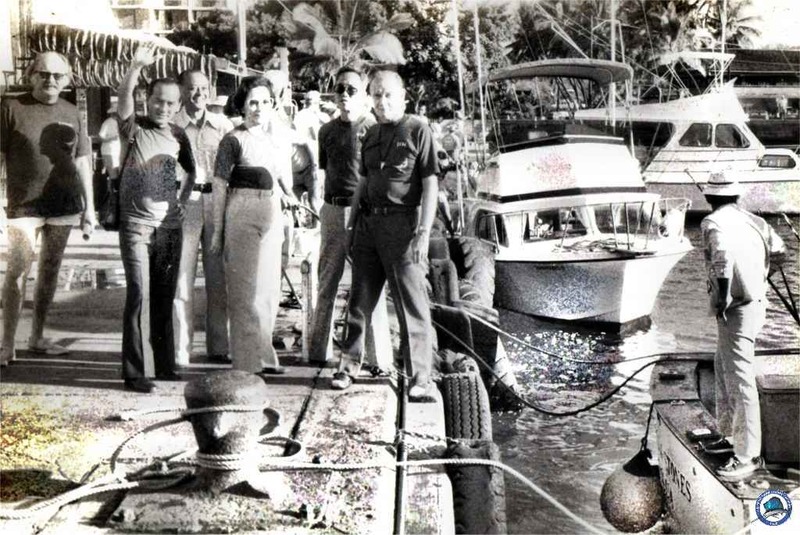 Santos is the incumbent president of the Philippine Gamefishing association, while Mrs. Osias holds three national records in gamefishing, Villamil pilaced third in the 1974 PGFA tournament which was held off Sta, Ana, Cagayan. The PGFA, an affiliate of the International Gamefishing association, is an organization of local sportsfishermen. Aside from participating in the Hawaiian tournament, the Philippine team will help promote sportsfishing in Philippine waters and will explore the possibility of hosting an international sportsfishing tournament in this country. The PGFA in a meeting with Secretary Aspiras emphasized the tourism potential of Philippine gamefishing areas such as in the waters around Fuga Island, Palawan, off Dumaguete aside from other less known areas of the country. The association said that sportsfishing has a wide following all over the world and if properly promoted, the Philippines can attract this potential tourist market. Mrs. Pat Osias of Dasmarinas Village, Makati shows the 189 pound marlin she caught at the Hawaii international billfish tournament in Kona last month. Beside her is Miss Kona. held in Kona last month. Mrs. Osias hooked a 189 pound marlin with the aid of an 80-pound line after an hour of struggle. The Philippine team, composed of Gen. and Mrs, Victor Osias, Jose 'Tetu' Santos, Conrado Antonio and Nick VIllamil, finished in 24th place out of 65 entries and placed third among 13 foreign teams. Mrs. Osias' marlin measured 102 inches long and 41 inches in girth. 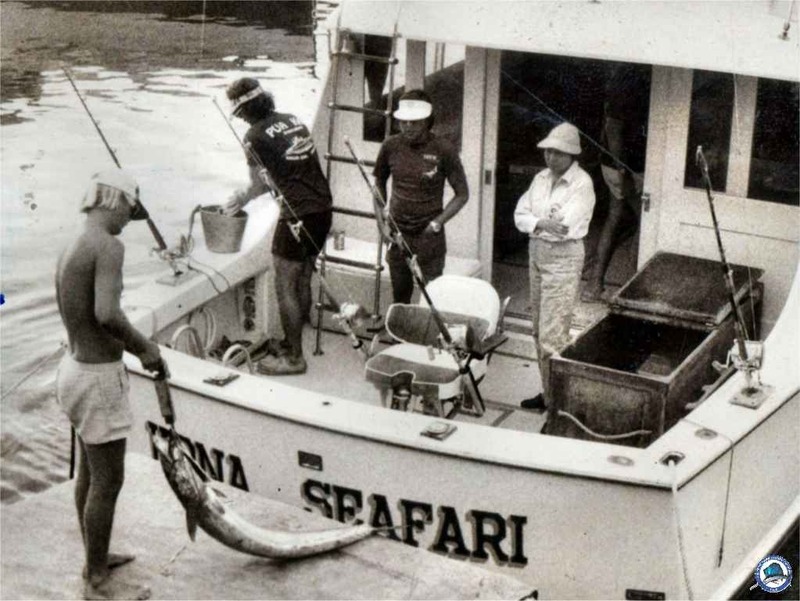 Although it was not the largest marlin caught by a Filipino with rod and reel, she set the local record for a woman. Santos hooked a 120-pound yellowfin tuna, while Antonio got two strikes on his line but failed to hook the fish properly. Other foreign teams which competed were Thailand, Japan. New Guinea, Fiji, Tahiti, Bora-Bora, Canada and New Zealand.